Heart attack patients should be prescribed exercise to reduce their risk of death, researchers suggest. A new study found patients who become more physically active in the year following a heart attack can significantly reduce their risk of death. Experts carried out a study on heart attack patients in Sweden and found that those who increased levels of physical activity halved their risk of death over a four-year period. Much research has gone into investigating whether exercise helps prevent heart attacks, but there have been few studies examining exercise levels after a patient has suffered one. Swedish researchers examined data on more than 22,000 patients aged between 18 and 74 who had an attack between 2005 and 2013. Data was collected on the patients' level of physical activity in the weeks after their heart attack, and then again a year later. Patients were asked how many times they had exercised for 30 minutes or longer during the previous seven days and were subsequently classed as "constantly inactive", "reduced activity", "increased activity", or "constantly active". During the four-year follow-up period 1,087 patients died. Researchers examined the association between patients' levels of activity and their risk of death. Compared to patients who were constantly inactive, the risk of death was 37%, 51%, and 59% lower in patients in the categories of reduced activity, increased activity, or constantly active, respectively. 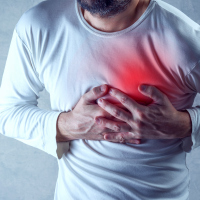 The study's lead author, Dr Orjan Ekblom, of the Swedish School of Sport and Health Sciences, said: "Our study shows that patients can reduce their risk of death by becoming physically active after a heart attack. "Exercising twice or more a week should be automatically advocated for heart attack patients in the same way that they receive advice to stop smoking, improve diet and reduce stress. "Our study shows that this advice applies to all heart attack patients. "Exercise reduced the risk of death in patients with large and small myocardial infarctions, and for smokers and non-smokers, for example." Living with a heart condition? Get the suitable travel insurance before you take a holiday.